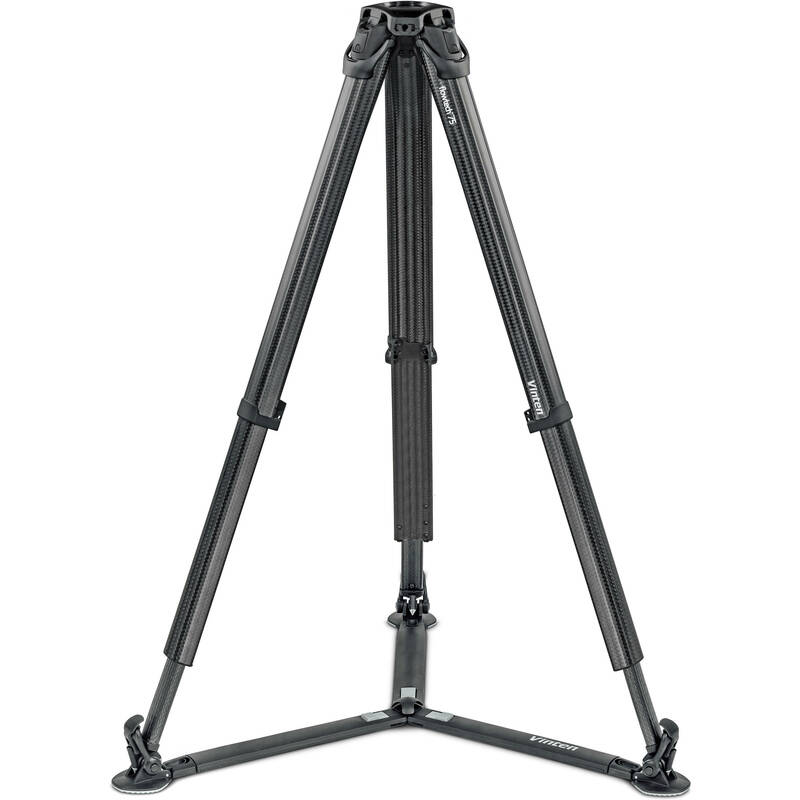 Ground Spreader Range: 16.1 to 62.2"
The Vinten flowtech 75 Carbon Fiber Tripod with Ground Spreader eschews the common single or double carbon fiber tube design; instead it has redesigned the shape of the legs for improved torsional strength. The legs weigh just over 6.4 pounds, yet they can support a payload of up to 44 pounds, and extend from a minimum height of 16.1" to a maximum height of 62.2" when using the included removable ground spreader. Each leg features a single clamping lever that locks and unlocks the sections. Dual-stage, carbon fiber, 75mm bowl tripod. Three 3/8"-16 accessory mounting holes are integrated into the outside of the 75mm bowl. The legs by themselves weigh only 6.4 pounds but support up to 44 pounds. Each leg features a single clamping lever lock design at the top of the leg, near the 75mm bowl. This allows you to loosen all three leg sections from a single location, saving you time while reducing the wear and tear on your body as you don't have to bend down to loosen a lock at the bottom to lower or raise the legs. With the spreader, the height range is 16.1 to 62.2". However, if you remove the ground spreader and utilize the built-in locking mechanism, the usable height range is 10.2 to 60.2".